New potato flavour. Good for garden growing – suits a sheltered site. This was TV gardener Percy Thrower’s favourite. Cooks well (but boil with care). Popular, easy to grow waxy salad potato. Good flavour and high yielding. Exciting new variety with long-shaped, pure white skins and flesh. Superb for chips. Excellent flavour. Great for baking, roasting and chips. Good disease resistance. 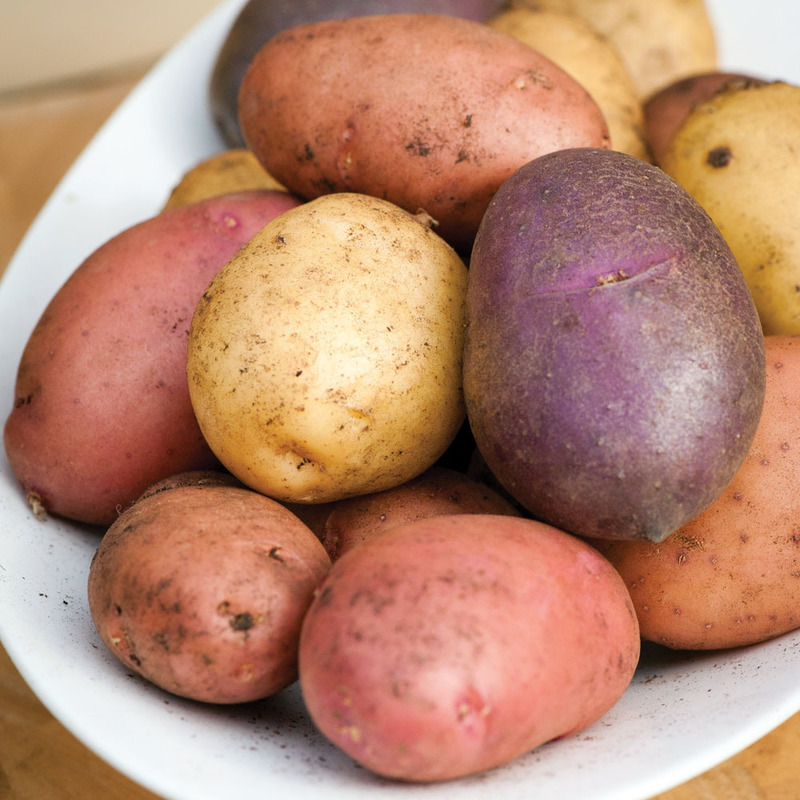 White-skinned, multipurpose variety with a fab new potato flavour. Best enjoyed when freshly harvested and cooked in their skins. Can be grown over a long period.